Book a two-night escape on this offer in December, and enjoy a one-night stay on us in 2019! 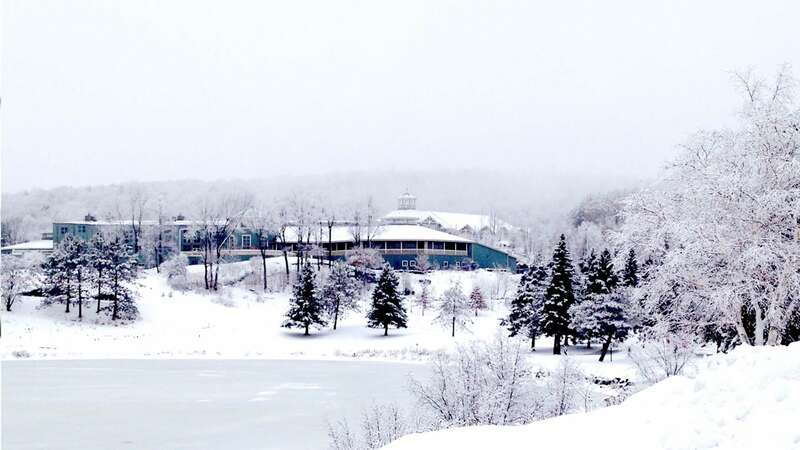 As we ramp up to the holiday season, Deerhurst is in gift-giving mode! It’s our way of saying thank you for closing out the old year with us now…and we look forward to welcoming you back in the new year! Stay two nights on this offer between December 1- and 22, 2018 in any accommodation, and receive a free night in 2019 in a Pavilion Room between January 1 – June 27, 2019; excluding Family Day and Victoria Day Weekends. December is the perfect time to recharge and relax, do some stress-free holiday shopping in Huntsville’s Christmas card setting. The free night can be used for stays between January 1 and June 27, 2019 in a Pavilion Room only, subject to availability excluding black out dates of February 15/16/17 and May 17/18/19, 2019. *Rate is per room, per night, based on double occupancy (two adults per room). Rates shown are applicable to select accommodation and may fluctuate based on dates and availability. Minimum stays and blackout dates may apply. A limited number of rooms are available on this offer. Cannot be combined with any other discount, package, promotion or group rate. HST and resort fee are additional.